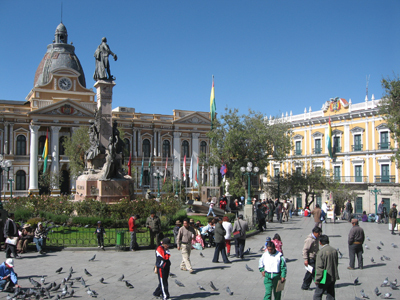 The Government Palace in La Paz doesn’t come from either the colonial period or from when La Paz became the political center of the country (since 1899). The palace was built from between 1845 and 1852 during the presidencies of Ballivián and Belzu. The beautiful building adheres to the classical school of architecture with both elegant and severe lines that have an Italian style. The palace was designed by architect José Nuñez del Prado and was inspired by European Rennaissance.